endiio offers a modular system for the implementation of new IoT solutions and also provides the necessary platform for fast and easy integration into your products: space-saving and energy efficient. endiio sensors meet the highest requirements of the industry with regard to robustness and security. The endiio mesh topology allows the networking of 65,000 sensors with only one gateway. The range is almost endless. Complex service life and maintenance work are a thing of the past. The wake up technology enables on-demand queries in milliseconds. 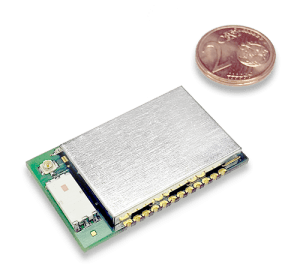 Endiio is particularly suitable for IoT solutions with energy harvesting functions. The endiio technology wirelessly networks sensors and with the lowest operating costs over decades.  The endiio radio system enables the cost-efficient realisation of IoT applications with the highest requirements for energy efficiency and real time capability. 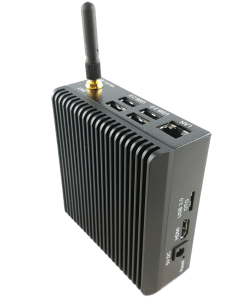 endiio’s low power radio technology enables extremely long battery life with full performance and availability. 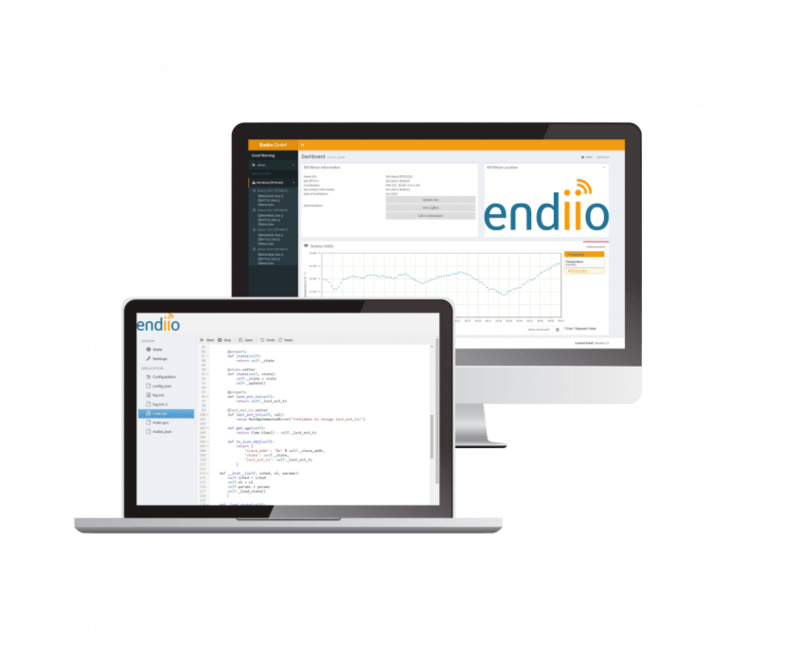 endio’s IoT technology enables software updates in real time. 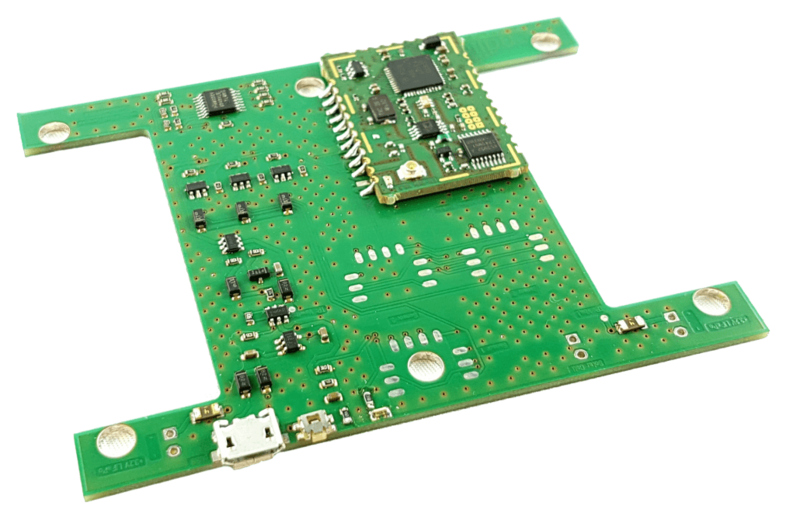 Fast and uncomplicated development of IoT applications is possible with the endiio Evaluation Board. A learning circuit board with state of the art technology – with endiio’s energy-saving low frequency radio technology, for tailored applications to automate your company. Optionally, this circuit board can be operated using energy harvesting. 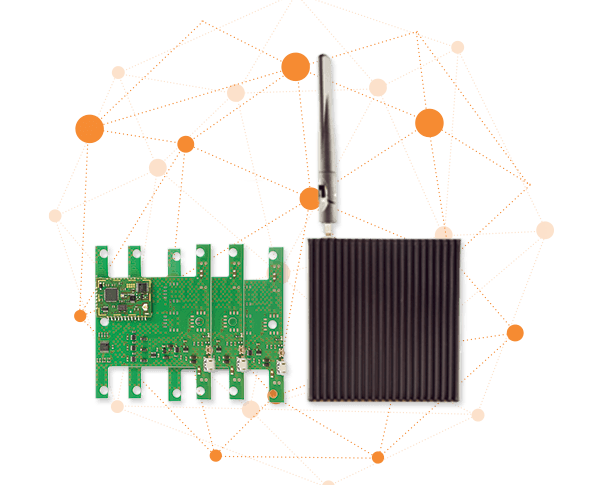 The endiio Radio module enables wireless on-demand communication with low latency periods of no more than 5 milliseconds. Despite this high performance, the power consumption is still very low and enables maintenance-free operation with the highest possible reliability for years. 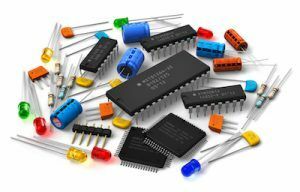 The High Density Kit enables the integration of superior endiio IoT technologies into your products. Our license model allows you to utilise the possibilities provided by the Internet of Things easily, efficiently, and cost-effectively. With our know-how, we support you with the high level integration of cutting edge endiio technologies into your designs and circuit boards. Obtain components direct from endiio and save on costs and precious development time. The endiio Gateway is the central collection point for data from all sensors that are connected with the low frequency radio network via the endiio Module. The data logger saves the data, and the information is securely and reliably transmitted to a local network or to the endiio cloud. This is done via Wi-Fi, ethernet, USB or serial ports. With an integrated 10-pin analogue-to-digital converter and a digital I/O, the endiio Gateway is equipped for all possible routes to automation. Organise and manage your data and sensors. 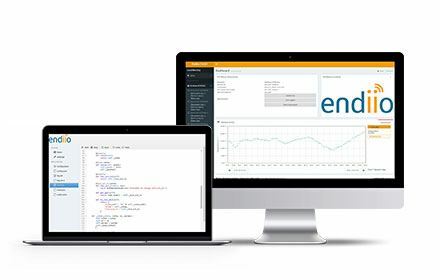 endiio makes it easy to configure, monitor and update your sensor data. 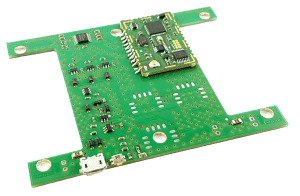 Fast and easy development of IoT applications is possible with the endiio Evaluation Board. A learning circuit board with state of the art technology – with endiio’s energy-saving low power radio technology, for tailored applications to automate your company. Optionally, this circuit board can be operated using energy harvesting. The endiio Gateway is the central collection point for data from all sensors that are connected with the low frequency radio network via the endiio Module. The data logger saves the data, and the information is securely and reliably transmitted to a local network or to the endiio cloud. This is done via Wi-Fi, ethernet, USB or serial ports.